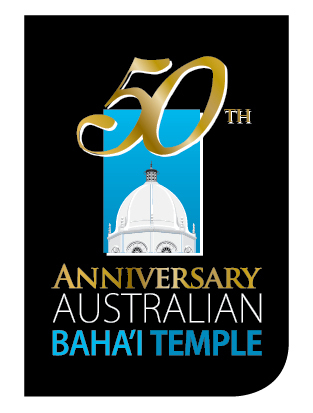 Big celebrations start in Sydney to celebrate the 50th anniversary of it’s Baha’i Temple! Tomorrow will mark the commencement of a week-long celebration to commemorate the 50th anniversary of the Baha’i Temple. Located in the beautiful hills and bushland above the northern beaches of Sydney, it is one of seven Baha’i Temples throughout the world. Other Baha’i Temples are located in Apia, Samoa; Chicago, USA; Frankfurt, Germany; Kampala, Uganda; New Delhi, India; and Panama City, Panama. A new Baha’i Temple is being built in Santiago, Chile. The celebrations include community days, guided tours and special services all held on temple grounds. You can view the program HERE. The address for the Temple is: 173 Mona Vale Road, Ingleside. Baha’i Gems will hopefully have some items for display and sale at the Temple’s bookshop soon! This entry was posted on Saturday, September 17th, 2011 at 7:38 AM	and tagged with Australian Temple, Baha'i jewelry, Baha'i Temple Sydney, Bahai jewellery, Bahai temple, prayer sydney, religious temple Australia, Religious temple Sydney, Sydney Ingleside temple and posted in Uncategorized. You can follow any responses to this entry through the RSS 2.0 feed.